Durga Puja- Photo by Flickr User Matthias Rosenkranz. My name is Om Prakash Singh. At the young age of four I was sent to live with my maternal grandparents for my studies. I would return home to my birthplace once a year to visit my parents. Even as a child I had a strong inclination towards worship and prayers. 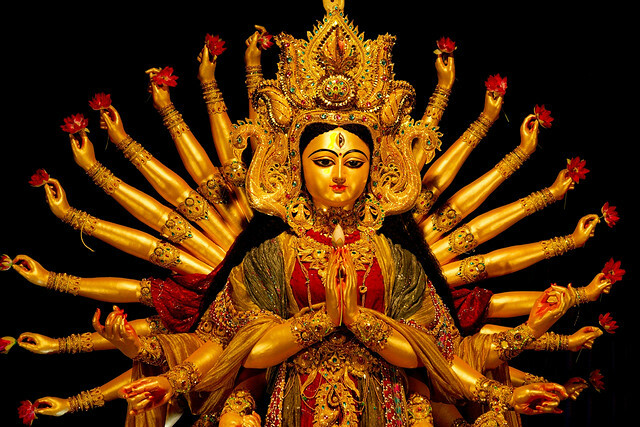 Being Indian, Durga Puja was celebrated with great enthusiasm at my grandparents’ house. My grandfather was a high profile person in administration and my grandmother was a generous householder with a strong sense of spirituality. Though she was not educated, she was the one that taught me my morning prayers. I enjoyed my life living with my grandparents and I acquired a solid education. I graduated from St. Paul’s School in Begusarai, Bihar, India with good grades and I then moved from Begusarai to Patna to further my education. I passed my Intermediate exams and went on to graduate from Magadh University in Patna. At a very early age I married a beautiful lady named Vandana, but as I had no earnings, it became difficult to support my small family. To earn money, I began teaching English and science to the students. But in the midst of all of this, bad relations began to develop with my maternal uncles and it completely altered my way of thinking. 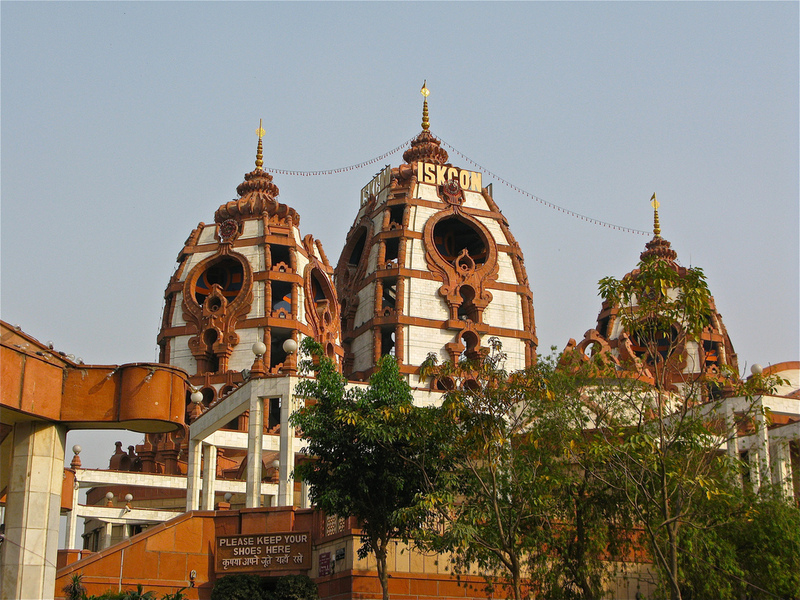 ISKCON Temple Delhi- Photo by Flickr user wieland7. Seeking answers to my personal struggles, one day I went to Delhi and I visited the ISKCON Temple. There I listened to a lecture given by the Chief Editor from The Telegraph. After listening to him and the way he answered questions, I was motivated to learn his way of living. But, I had fallen into a bad drinking habit of whiskey and wine on a daily basis. At this time I had a business working with architectural glass, but that began to fall apart with my lack of awareness and my increased indulgence in alcohol. After coming into dire financial hardship, I began to move from place to place in search of money, but my drinking habit continued. After struggling for a very long time, I finally retreated back to ISKCON Temple and started listening to the lectures given each week by different saints. I started chanting the Mahamantra. In the beginning that was very difficult. I put all my work on hold for three months and dedicated myself to practicing chanting and reading spiritual books on a regular basis. Gradually, I began to enjoy the chanting and I learned to practice chanting by myself and did so day and night for several months. Mantra chanting became my habit and I continued this for a long time, getting deeper into the practice. To complement my chanting practice, I began practicing pranayama, specifically Anulom Vilom, at night. While everyone else was asleep, I would practice my pranayama from midnight until 3:00 in the morning. My intuition became powerful and I began to see visions. My thoughts began to reveal truth and my knowledge of spiritual Indian scriptures became stronger and stronger. 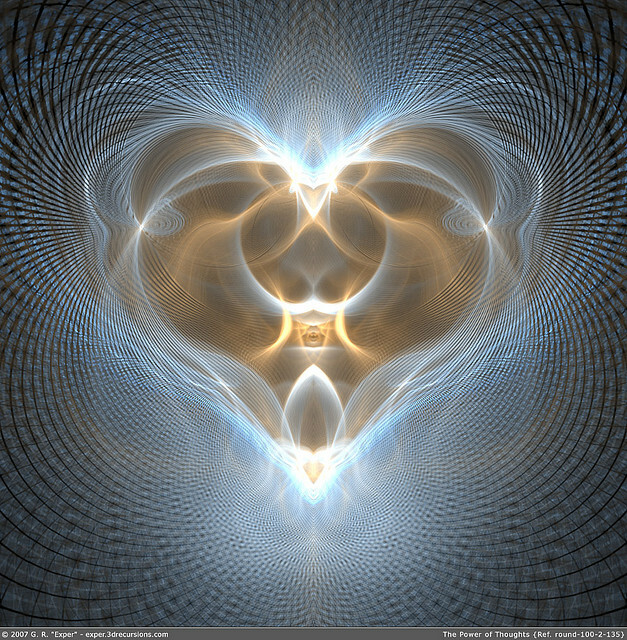 I began to understand Karma Yoga and Dhyana Yoga. My practice and my faith became stronger and stronger and my body and mind began to purify. I could see the burning candle of my soul. One day, at the age of 31, I was in my village of Raillie with my parents. At this point my mind was fully submerged with thoughts of the Almighty. Everything seemed beautiful. I could find no wrong. Everything was right. I could see that everything was created by my Lord, the Almighty. I began to love all living entities and worried of even treading on the ants beneath my feet. In search of the divine, I went to the ancient village temple and I prayed for my soul to be revealed to me. That night when I came back to my house I went to sleep on the top floor, beneath the open sky. I started chanting on beads and gradually began to practice pranayama. All of a sudden I was lost in great meditation. Someone came near me and pulled my hand. I felt the touch and my eyes opened. I saw that I was standing in front of my body. I was afraid and wanted to shout for help to my mother but my whole body was like a log, lying there and watching the incident. As I tried to move, I suddenly disappeared and my body became normal again. I quickly got up; I felt fresh, rejuvenated and young. I was so excited with this out of body experience that my practice grew even more intense. Then one day I was traveling by train from Patna to Delhi. That day the train was delayed for six hours at the station at Mughal sarai. It was night time and there were many passengers in sleeper class. My body began to heat up and I developed a fever. The faith was so strong within me that I started chanting mantra on my beads and just after one hour my body temperature was normal. From that point on, I began practicing this healing method on myself. Now I never get ill and I am able to feel the functioning of my whole body organ. If any pain arises, I can feel the organ where the pain resides. I concentrate on that organ for some time for it to be healed with vital forces and become healthy again. And I can feel the results. This is all the power of mind. So, pay careful attention to your mind and try to discard all negative thoughts, and instead infuse your mind with the knowledge and wisdom of the Vedas. You will start loving this world as it is. Born in Begusarai, Bihar, India, Om Prakash Singh was nourished physically and mentally by his maternal grandparents. Wanting to lead an independent life guided by his feelings, his grandparents helped him to understand the laws of nature and how they apply to human behavior. He ultimately decided that the mind has the power to create the future person. 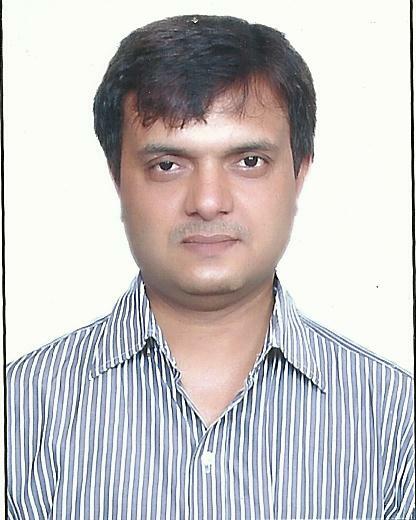 Om Prakash Singh is a graduate from business administration and is currently working as a project sales manager in the architectural glass industry. His ambition is to seek peace for all mankind. This entry was posted in Emotional Healing, Meditation, Spirituality and tagged healing, India, inspiration, ISKCON Temple, mantra, meditation, out of body, pranayama, spirituality, The Yoga Diaries, yoga by The Yoga Diaries. Bookmark the permalink. God is only the spritual power which makes us stand in all our difficulties.